Boy has wanted a treehouse for several years. Even before we began traveling, it was his dream. In Thailand, we got to sleep IN A TREEHOUSE! About an hour outside of Chiang Mai, Thailand, we checked into a treehouse lodge. There are 6 individual treehouses, here. Each one sleeps two to six people. Not quite luxury, these are still a step up from camping cabins, with running water and a bathroom. They also provide hot, catered meals. It was the ideal base for some hikes and exploring. A few other familes were here, as well, so Boy enjoyed some playtime in the mud and streams with a couple of kids, four cats, and a puppy. We hiked, biked, played cards, and even swam in a waterfall. A very relaxing, and low tech couple of days. A little bit of schoolwork got completed. Boy practiced some spelling, math facts, and read up on the American Pilgrims, as it is Thanksgiving week back in the US. Leaving our treehouse was hard, but brightened by the possibility of meeting up with some other traveling families in the city of Chiang Mai. A popular stop with travelers, Chiang Mai was founded in the 1200s and is home to a great number of beautiful Buddhist temples. 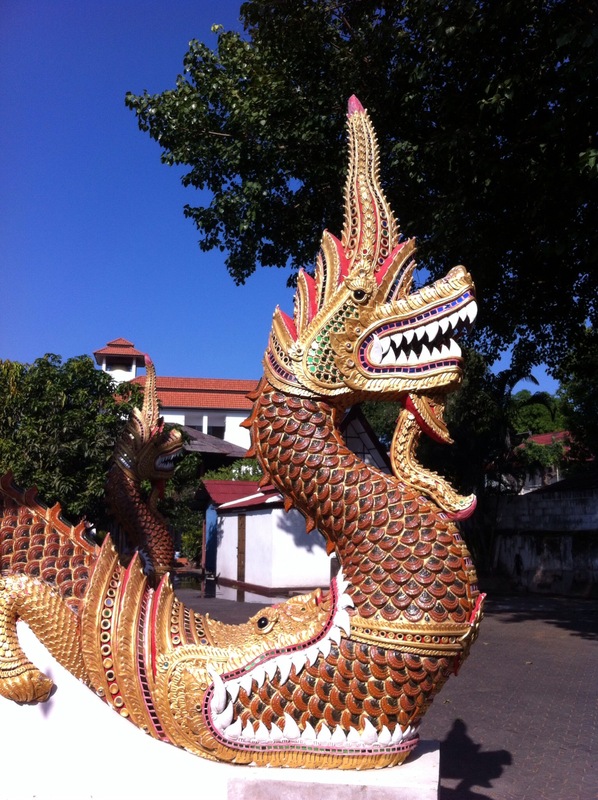 We enjoyed spotting dragons as we walked through the Old City, viewing the temples as we strolled. We even stopped in for a “monk chat,” where young monks practice their English by answering tourist questions about Thailand and their life there. 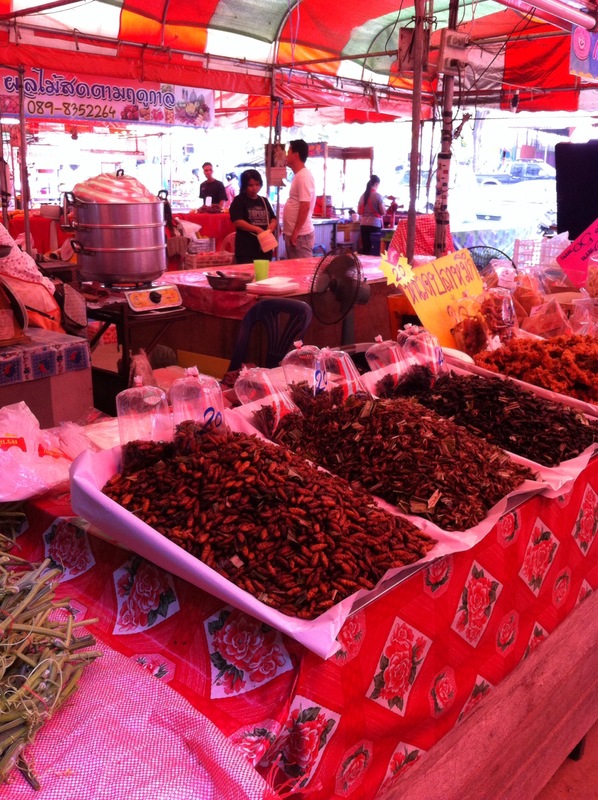 The markets also drew our attention, with fresh bugs on display for snacks. We chose coconut ice cream over the bugs, but enjoyed the sights, nonetheless. We did meet up with three other traveling families while in Chiang Mai, all with boys just the right age. Boy enjoyed several hours of running about and talking with English speaking playmates. It was hard to drag him away from Thailand, which now ranks as one of his favorite countries. 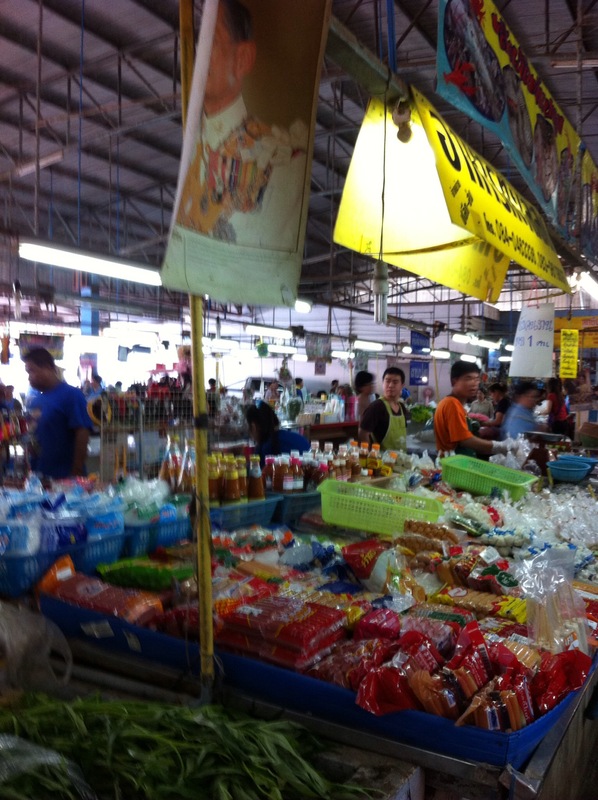 This entry was posted in Asia, Roadschool, Roadschooling, Thailand. Bookmark the permalink. What a great adventure! 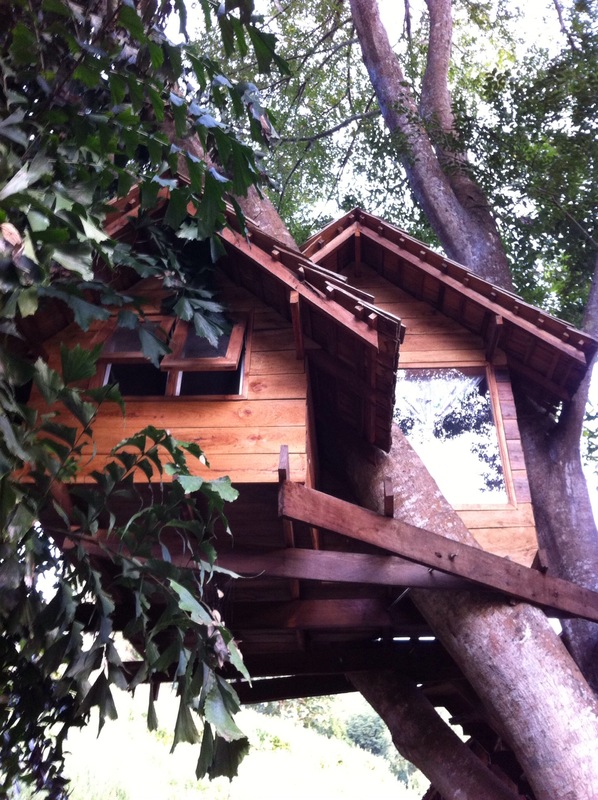 Not exactly “roughing” it, but imagine sleeping in a tree house! Happy Thanksgiving! Missing all of you.